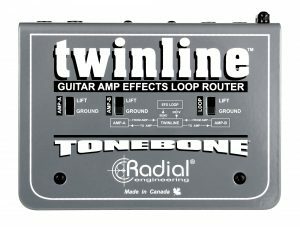 The Twinline is a unique device that enables a guitarist to share effects pedals between two amps when using each amplifier’s built-in effects loop. 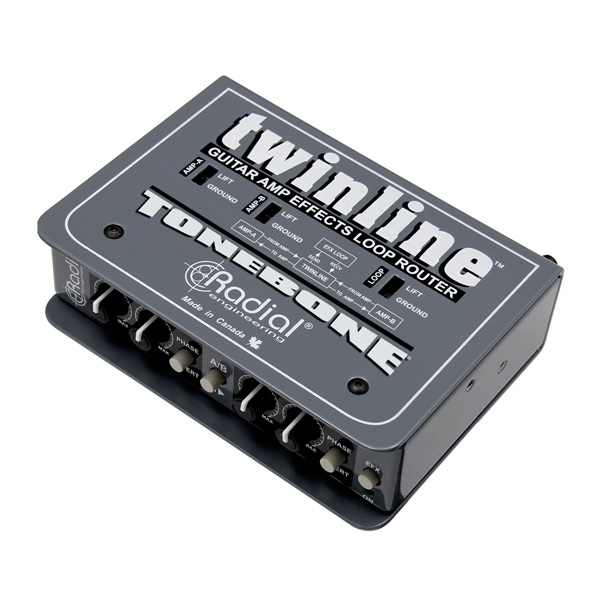 The Twinline can be thought of as a pedalboard switcher that lets you remotely toggle effects pedals from one amp's effects loop to the other, effectively sharing your pedalboard between two amps. 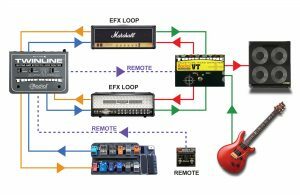 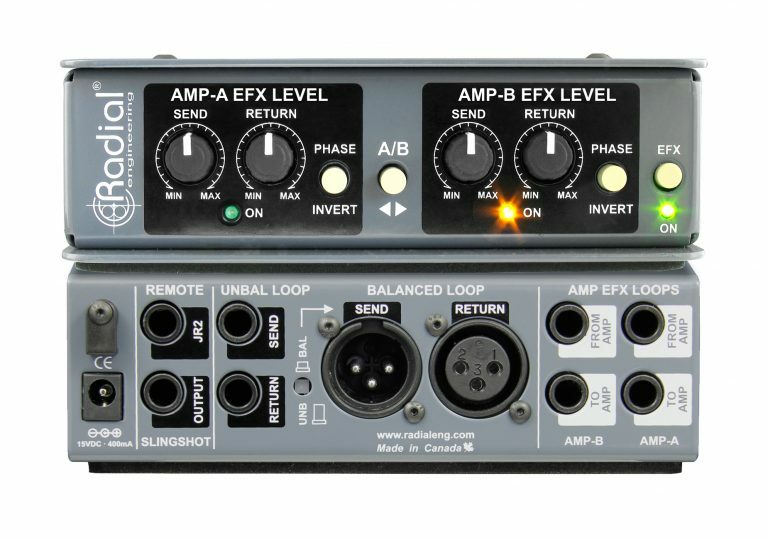 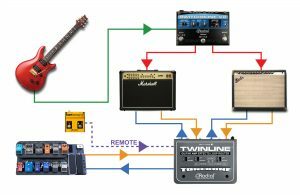 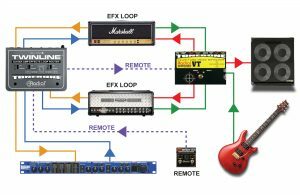 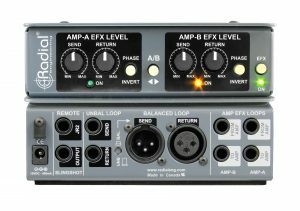 To accomplish this, the Twinline is equipped with two amplifier effects loop circuits – each with separate send and receive levels to optimize the signal path for each amp's effects loop. 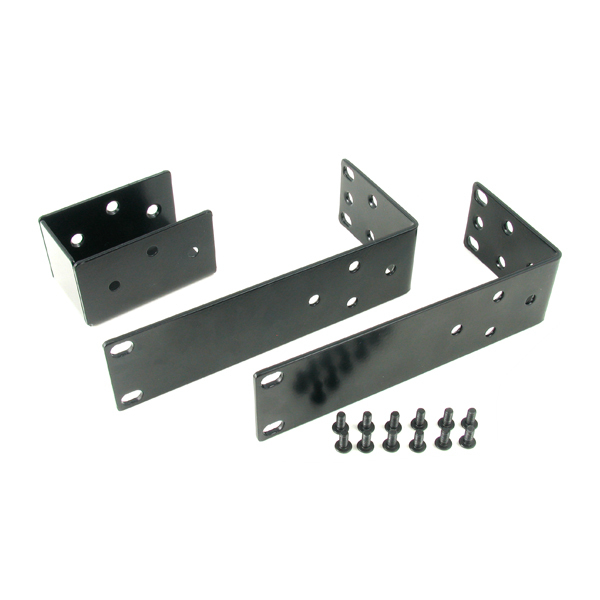 Effects devices can be connected to the Twinline with unbalanced ¼" connectors for typical guitar pedals or balanced XLR connections for studio effects. 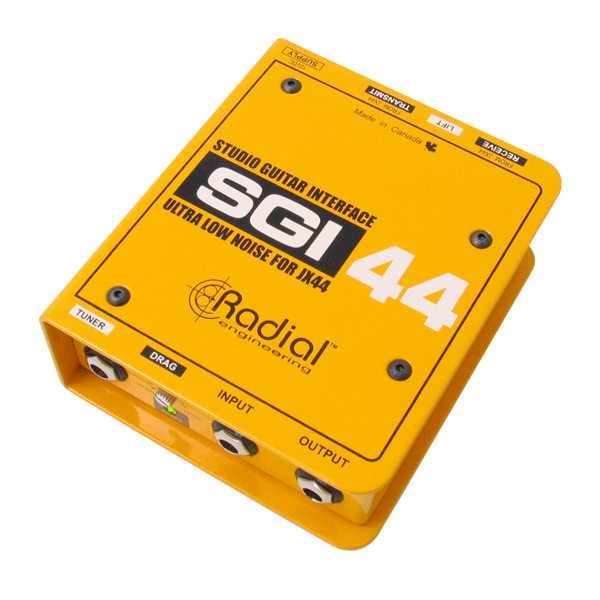 To switch or bypass effects from across the stage, a remote control input allows you to toggle the Twinline using a latching footswitch. 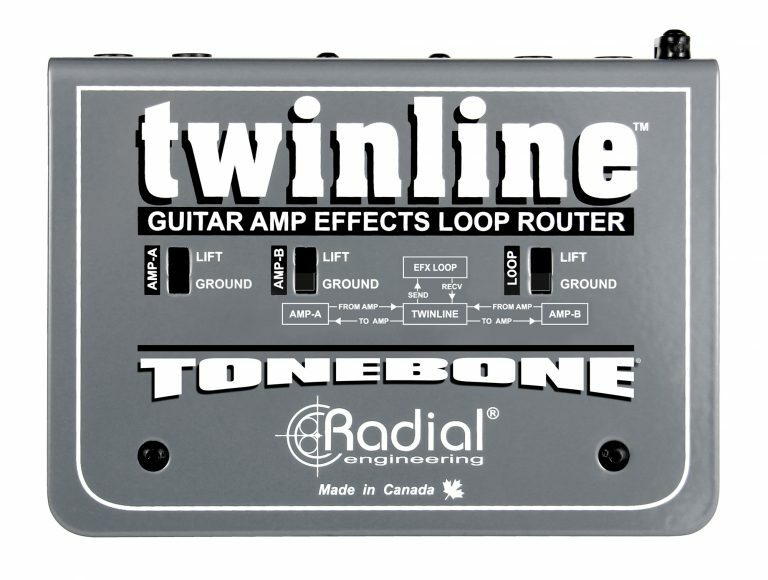 Use the Twinline to toggle your pedalboard between two amps so that the effects can be shared via the amplifier effects loops. 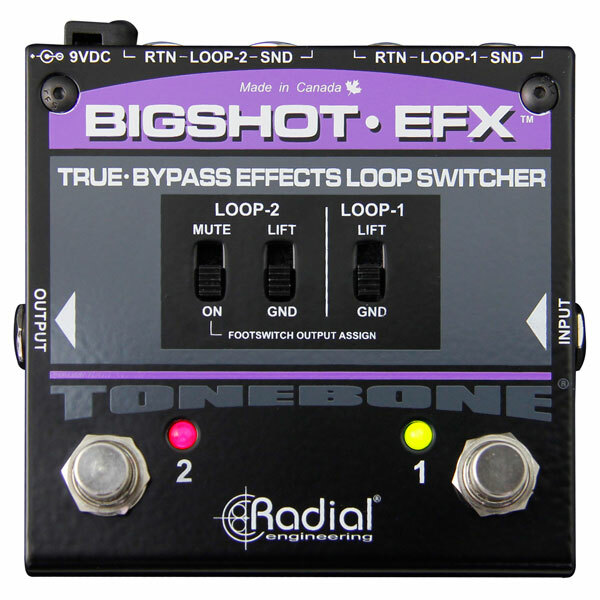 Use the Headbone to switch heads and the Twinline to toggle the pedals. 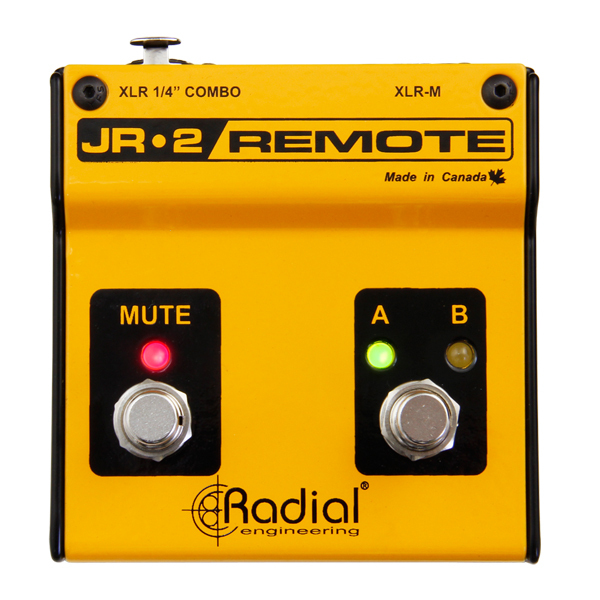 The SW2 remote makes it all happen with only one foot-stomp. 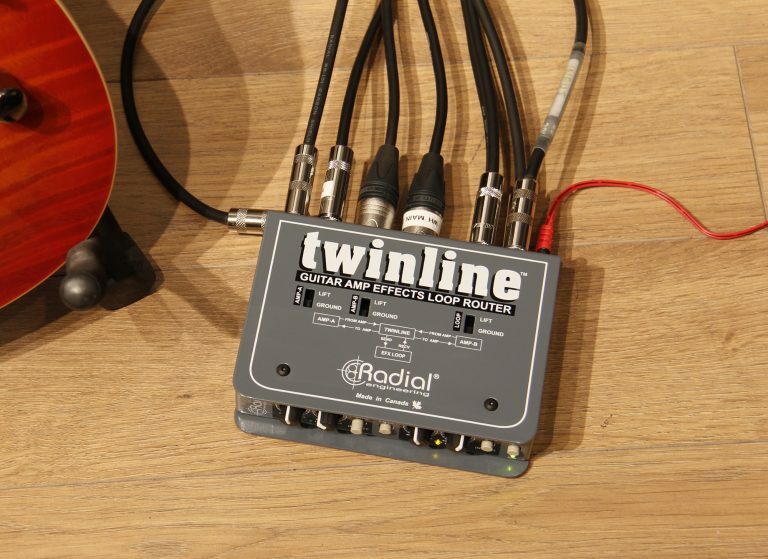 The Twinline's balanced inputs and outputs allow you to connect +4dB studio effects to your guitar amps. 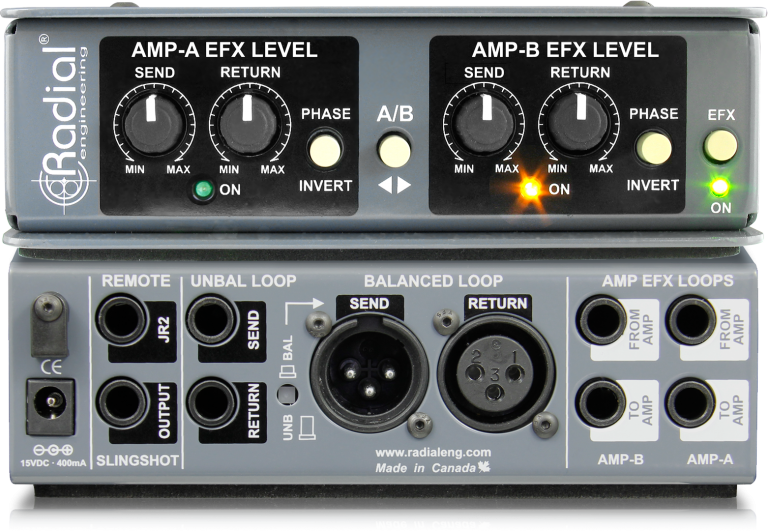 The Twinline does the balancing and unbalancing for you!